Dr. Thomas “Tom” Conner entered private dental practice more than 25 years ago. He earned his undergraduate degree from LaSalle University in Philadelphia, then conducted research in diabetes and transplants at the University of Pennsylvania. Dr. Conner went on to complete his dental training in 1989 in Richmond at the Medical College of Virginia, Virginia Commonwealth University. While at MCV/VCU, Dr. Conner conducted research at the Periodontal Research Center. He continued to expand his training with the United States Dental Institute. He also completed the implant Maxi Course at Howard University and recently completed additional training at the MidWest Implant Institute in Tennessee. He is certified to offer patients ClearCorrect Invisible Aligners orthodontics. In an effort to stay on the leading edge of dentistry, Dr. Conner has completed courses in the use of lasers in General Dentistry, Periodontics and Advanced Endodontics. In 2017 he completed the Dental Sleep Medicine Mini-Residency at the University of North Carolina: School of Dentistry, and the Orofacial Pain Mini-Residency. He is a Member of the Academy of Laser Dentistry, and is also a Qualified Member of the American Academy of Dental Sleep Medicine. He believes strongly in continuing education for himself and his entire team and will continue to take courses to expand his knowledge. Dr. Conner opened his first private practice in Hampton, Virginia and moved to Chesterfield in 2012 where he purchased this practice, which has been an establishment in the community for more than 20 years. When he’s not in the dental office, you will likely find Dr. Conner spending time with his wife and three daughters and their little beagle, Molly. During football season, you’ll hear him cheering on the Pittsburgh Steelers. Carolyn started practicing as a Certified Dental Assistant nearly 20 years ago. She started working alongside Dr. Conner when he purchased the practice in 2012. The patients may remember her from the previous practice. She’s been working with the patients here for years having been part of the previous dentist’s team. Her goal: make patients as comfortable as possible during their appointments. When Carolyn is not in the dental office, you can find her near her Prince George home spending time with her husband, daughter, wonderful grandson, and boxer dogs. She travels a great distance to commute to work because she cares for the patients she serves. Mandi became a Dental Assistant in 2016 wanting to help patients perfect their smiles, especially children, who she enjoys working with. Mandi graduated from the Dental Assisting Institute of Virginia in Richmond, VA. When she’s not in the dental office, Mandi enjoys spending time with her husband and two daughters, friends, playing with her herd of pets, and boating on the weekends. 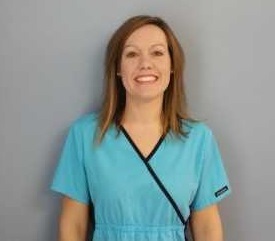 Natalie earned her Associate Degree in Dental Hygiene from Virginia Western Community College in 2011. Natalie looks forward to visiting with patients several times a year for their dental cleanings. Originally from Gainesville, Georgia, Natalie has lived in the Chester region for more than a decade. When she’s not in the dental office, you can find Natalie watching college football and hanging out at the beach. Cheryl, earned her Associate Degree in Dental Hygiene from Chattanooga State in 1991. Cheryl started in the dental field in 1991. 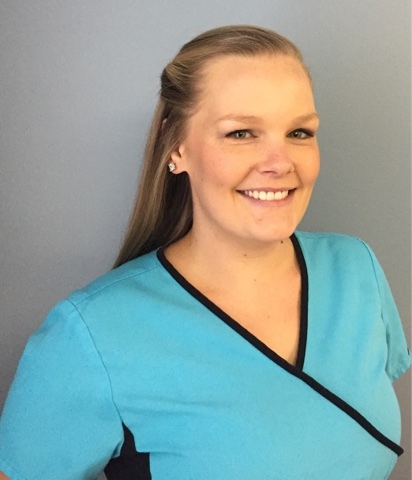 While working as a hygiene assistant she realized that she wanted to take the next step to become a hygienist. This enabled her to serve as a missionary in places like Brazil and Mexico, and she can’t wait to go again. When not helping her patients Cheryl is out hiking and camping with her husband. When you call Dr. Thomas Conner and Associates, hers is likely the first friendly voice you’ll hear. And many times, yours is a voice she knows. Tammy may have started working with Dr. Conner’s team in 2012, but she was part of the practice he purchased and has more than 25 years working in dentistry. She helps families prepare for their first appointments and scheduling routine dental check-ups, laser and cosmetic dentistry and other services around their schedules. When Tammy isn’t in the dental office, you can find her spending time with her husband and two children, reading or riding horses. Terrie is pleased to be the conduit patients need to achieve their dental health goals. 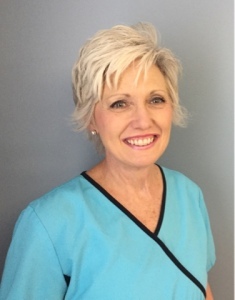 Terrie, the Office Manager, brings 25 years of experience working with patients and families on their dental needs. She has a passion for helping patients understand their treatment options, how it relates to insurance to pay for it and helping them make the arrangements to achieve their goals. Terrie started working with Dr. Conner in 1991. She grew up in Northern Virginia and attended Dickinson College in Carlisle, Pennsylvania. When she’s not in the office, Terrie enjoys cooking, visiting museums and galleries and spending time with her family at their home in Chesterfield.